Check the full wedding albums before you take the plunge. Most people pay attention to a photographer’s highlights album or gallery. They think that the whole album will be the same, but that is not always the case. The reason is that their portfolio is going to have the best of the best work collected from different wedding events they have covered in the past. It is therefore in your best interest to ask them to show you a full wedding album. In fact, you will be better off checking at least three full galleries from weddings they have covered. This will help you get a better idea about what your wedding album will look like. If you do not like anything, you may want to look for a different photographer. Be specific about what type of wedding you are going to have and how the photographer is going to cover it. What it means is that if you see a photographer showing full galleries with pictures shot outdoors in natural light, you may want to ask them to show you something else if you are going to have your wedding arranged indoors with dark lighting. Ensure that they know how to use different light settings to take the finest pictures. Be very critical when then reviewing albums. For this, you should have an idea about the theme of your wedding and some specific moments you want captured. Check what types of details are captured in the pictures. Do not forget to check how crispy the images look. They should also be thoughtful and taken in good light. Do not opt for a photographer showing you washed-out pictures with no real smaller details. Ensure that you can connect with the photographer. It is your special day and you will not be able to communicate directly with your photographer. You two need to be on the same page and your personalities should mesh to ensure that your album looks great when you finally get a chance to see it. When you talk to the photographer, check how clear they are when making suggestions. You may want to work with someone else if you believe that the mannerisms of your selected photographer are off-putting. It is equally important to ensure that they know how to talk to everyone without being offensive. 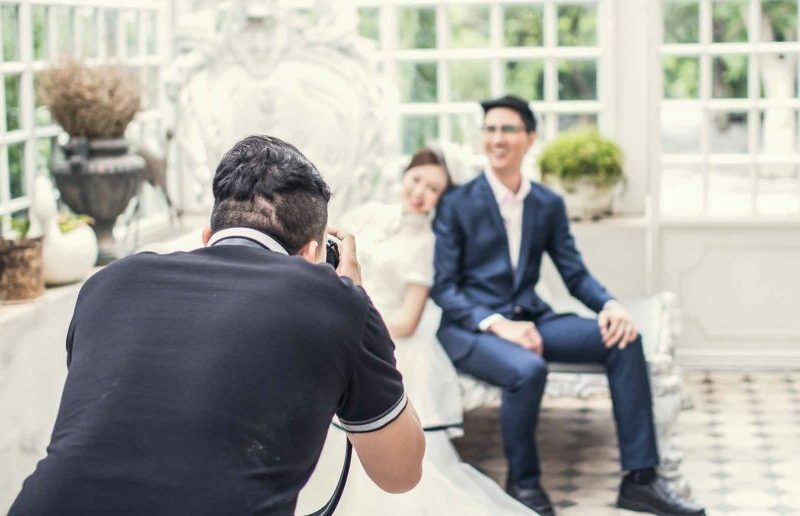 The fact of the matter is that you can certainly find a wedding photographer to cover your event, but you should put your money on a professional for wedding photography. Take your time and check the above mentioned things before finalizing your decision. Great Tips To Consider Before Choosing A Wedding DJ Kent!